Having an iPhone 7 means I had to surrender one thing I’ve been used to since birth, the headphone jack. Luckily Apple included an adapter so I can still enjoy a good pair of headphones when my Bluetooth headphones are charging. But when those are charging, the in-ear headphones I enjoy using are the Master & Dynamic ME05’s. 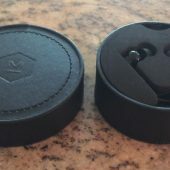 Master & Dynamic sent me a pair of their ME05 in-ear headphones, and there’s plenty to love about them. Made of solid brass and palladium, the ME05 in-ears also feature a nice set of 8mm drivers to give you a more robust listening experience. 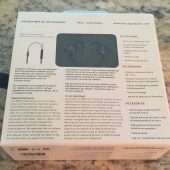 Although the headphones do not come with their own adapter and they do not feature a fancy lightning port end like other brands who’ve begun to hope on the Apple bandwagon and abandoning the 3.5mm headphone jack, that doesn’t mean the ME05’s aren’t worthy of being essential to your new iPhone 7, or any smartphone for that matter. 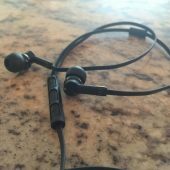 The listening experience with the ME05’s is honestly amazing, but it does come with a price. For $199, the ME05’s certainly aren’t a cheap set of in-ear headphones, and Master & Dynamic knows this. Although pricey, they hold up very well due to the material included. Brass is already pretty heavy to begin with, so I wasn’t surprised by the weight after taking them out of the box. You wouldn’t want to lose them right? Well, they’ve included a nifty carrying case, and a clip if you are the type to keep them attached to your clothing. There are the obvious control buttons on the cable itself which has become a standard in headphones at this price point. 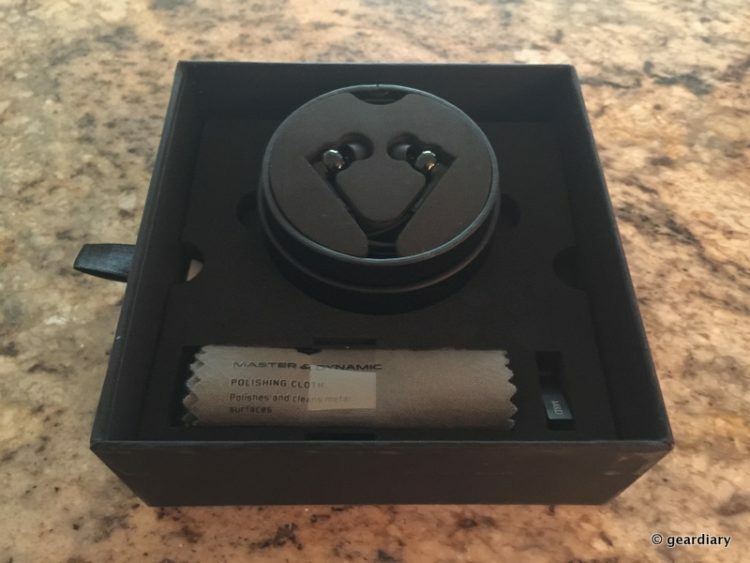 The model I received is their special edition black version, but there’s honestly no difference in audio quality. While they aren’t a noise canceling set of headphones, they get the job done when it comes to the jams. Due to the brass material, the music sounded a bit more isolated when listening on the Metro, surrounded by other passengers, but not so much that I could not be aware of my surroundings. Listening to D.R.A.M’s “WiFi”, I could hear crystal clear at even a mid-level volume. 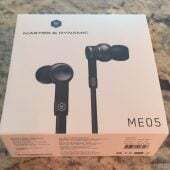 Unlike cheaper headphones that I found myself having to turn all the way up in public places, I don’t have that problem with the ME05’s. Overall I love the ME05’s by Master & Dynamics, with the only issue being the price. $200 is a LOT of money for sound and although I love their over-ear headphones the price tags on the in-ear being so close is a bit daunting. Being able to adjust your ear tips, on top of the additional case to toss in your bag is a nice touch though, but at $199, it’s a bit expensive. But hey, you get a GREAT looking hand-polished brass set of earphones that is friendly with treble, bass, and even the elements around you. 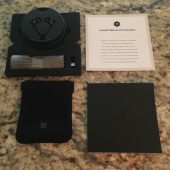 If you would like more information on Master & Dynamic’s ME05’s, head over to their website today.